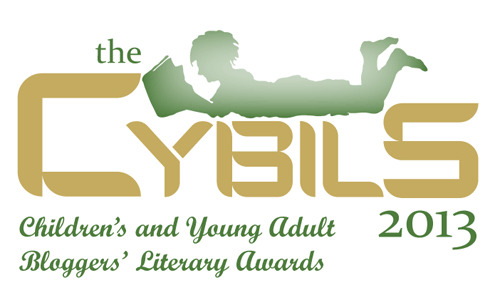 The 2013 CYBILS (Children’s and Young Adult Bloggers’ Literary Awards) shortlists have been announced! I was a first-time panelist for Elementary and Middle Grade Speculative Fiction this year. I really enjoyed the opportunity to read some amazing fiction and witness what goes into making a great list. I was also quite pleased to see a book I nominated make the final shortlist! Now another panel has the job of selecting a winner from that list – I don’t envy them the job of narrowing it down! The winner will be announced in February. In the meantime, I encourage all of you to check out the blogs of my fellow panelists (they’re excellent writers as well as readers! ): Charlotte of Charlotte’s Library (our valiant ringleader! ), Liviania of In Bed With Books, Stephanie of Views from the Tesseract, Kristen of The Book Monsters, Melissa of The Book Nut, and Brandy of Random Musings of a Bibliophile. 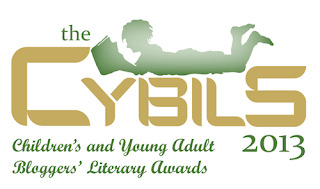 Shortlists for all of the CYBILS categories are up on the website. Go check them out for wonderful reading recommendations! Great post! And thanks for linking to all of us. It was a ton of fun to work with all of you and I'm a little sad to see it over. I can't wait to see which book wins in February! Thanks so much for all your hard work! It was great having you as a panelist. I'm curious about which book will take it all in the end. It's so strange, in a way, that it's out of our hands now! Great lists all around. Congratulations on making it through the fun and havoc that is round 1!